*NOW UPDATED WITH VIDEO* Yep, it’s here; Land Rover’s luxury compact SUV convertible has arrived. As the fifth member of the Range Rover family, the Evoque convertible sees the original Evoque shape, with a folding fabric roof added to it. Its Z-fold mechanism is said to stow away in 18 seconds and can be raised in 21 seconds. In addition, it has a boot capacity of 251-litres when stowed. 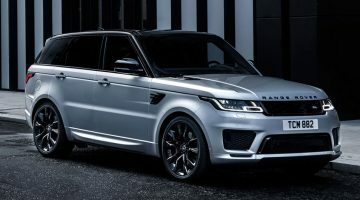 Inside it has a four-seat design with an all-new, high-resolution 10.2-inch touchscreen infotainment with InControl Touch Pro, providing smartphone integration, door-to-door navigation and 3G connectivity. 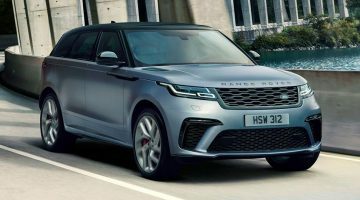 It also features a rollover protection system featuring rollover bars hidden in the rear bodywork, which deploy within 90milliseconds in the unlikely event of a roll-over situation. 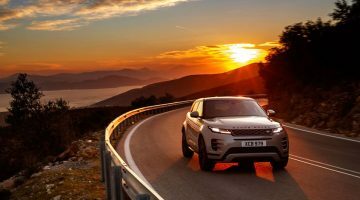 The convertible offers a customary choice of four-wheel drive powertrains combined with Land Rover’s nine-speed automatic transmission, terrain response system, wade sensing and all-terrain progress control. The model is expected to go on sale in early 2016.